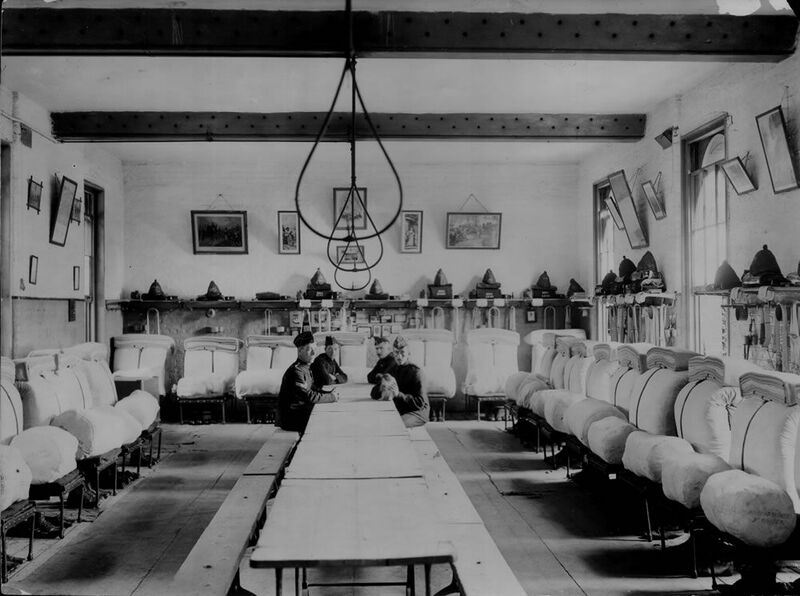 Mens' Barrack Room at the Royal Marine Artillery Barracks, Eastney, c1902-1904. This Mens' Barrack Room at the Royal Marine Artillery Barracks, Eastney,.. Art Print is created using state of the art, industry leading Digital printers. The result - a stunning reproduction at an affordable price. Mens' Barrack Room at the Royal Marine Artillery Barracks, Eastney,..